Walking into the Children’s Place in Tarzana, CA it looked like every article of sparkling holiday wear to boy’s neon clothing was on sale. Before Thanksgiving they offer an up to 50% off sale for girls, baby girls, boys, baby boys and newborns. I was shopping for my nine-year-old daughter and a new baby that a friend just delivered. 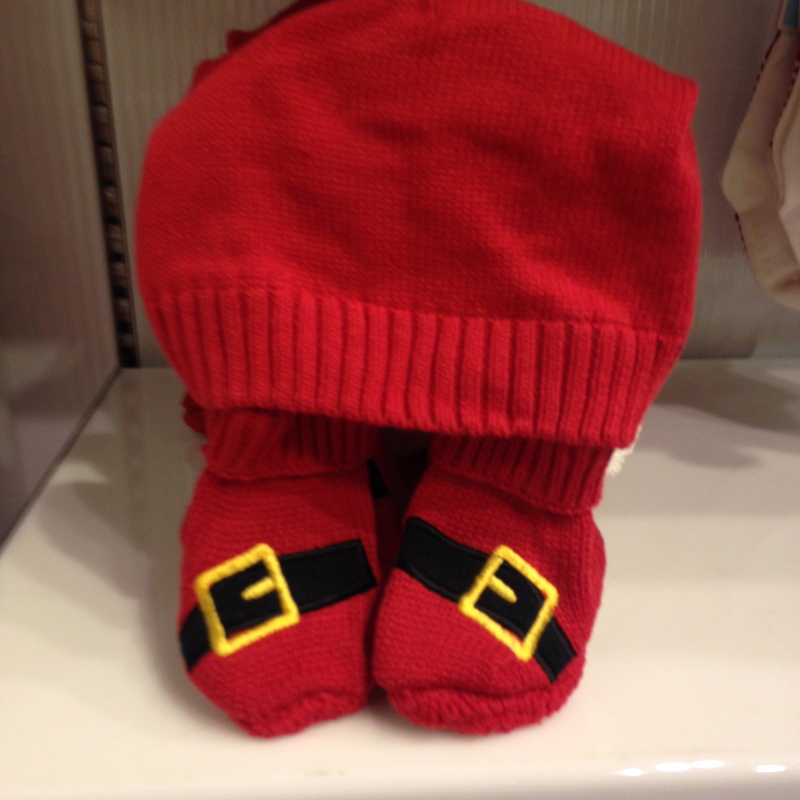 I first went into the baby section and fell in love with a bright red Santa cap and booties. 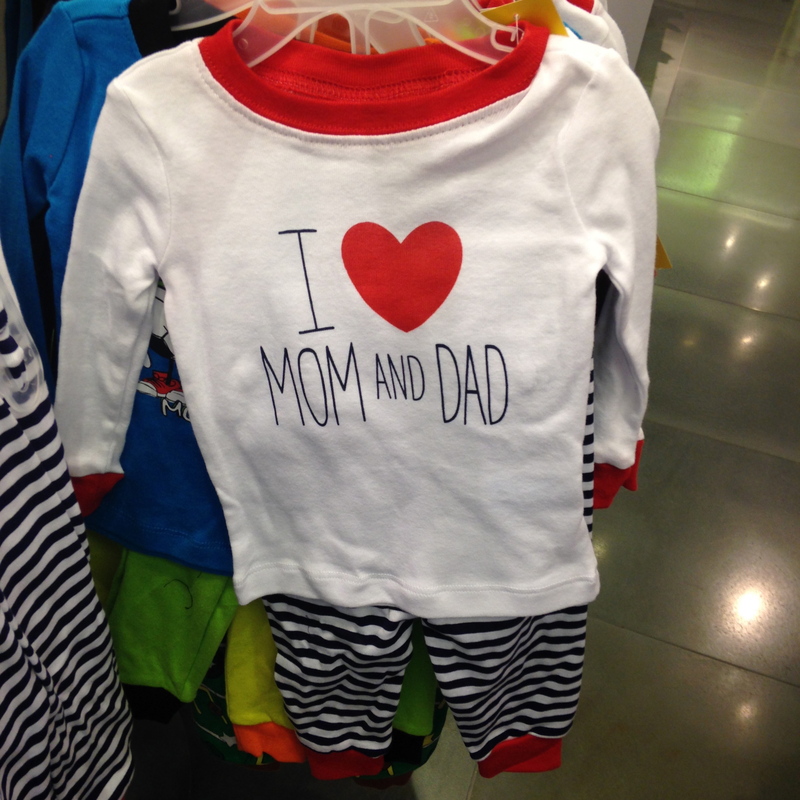 I also loved all of the onesies and comfy wear that said, “I love Mom and Dad” “I love Grandma” “I love Grandpa” and “I love Daddy Forever.” What parent wouldn’t love to receive one of these gifts for their baby? Fleece is popular right now with leopard prints a standout among the racks. Glacier fleece hoodies are $5 and up. Holiday outfits are in sparkling colors and pastels. Many are up to 60% off the tag price. Boys look handsome in the colorful button downs with vests. This season The Children’s Place offers critter hats that are very popular with friendly monster faces for up to 50% off. All the cozy outerwear are on sale too. IMG_1148This is where you purchase “Baby’s 1st Christmas” outfits and holiday pajamas for all the children. Be sure to buy some cool stocking-stuffers in the accessory areas for girls and boys. To find a Children’s Place near you or shop online, go to http://www.childrensplace.com.